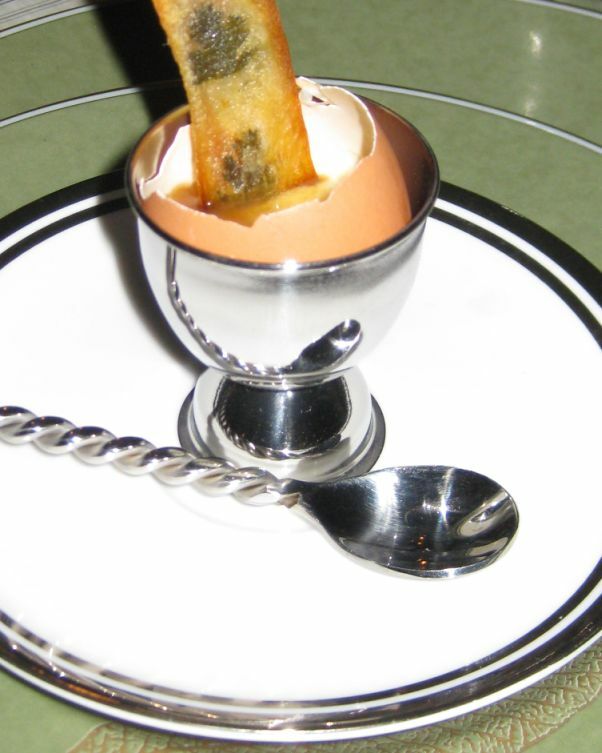 White Truffle-Infused Custard is served in an emptied egg shell. 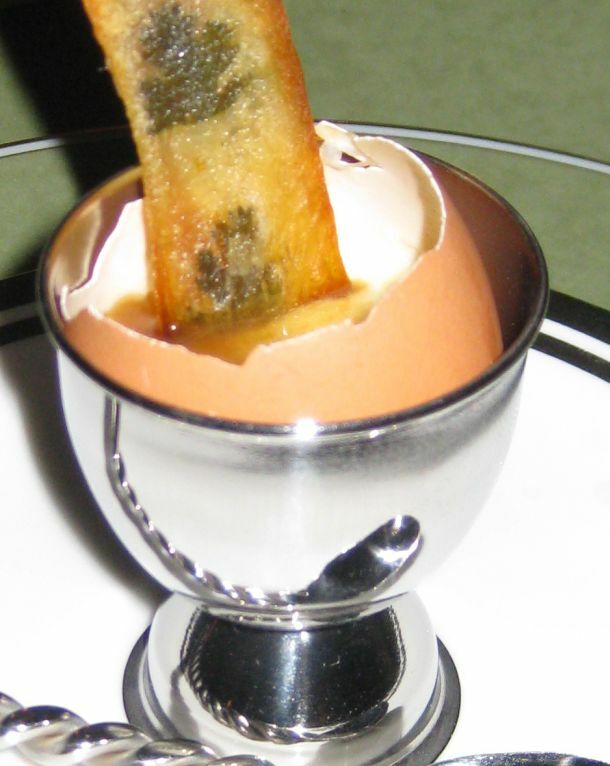 The custard is fine and rich, perfumed with white truffle oil and topped with a layer of veal stock ragout and black truffle oil, and served with a crispy chip partly submerged in the custard. Thomas Keller used chives in this chips, I used parsley because I think it looks a bit fancier but it really does not affect the taste of the chip. the ragout is very flavorful but I barely made enough so the next time I will increase the portion. By the way this dish looks deceptively simple...It is not so allow at least a few hours to prepare it. 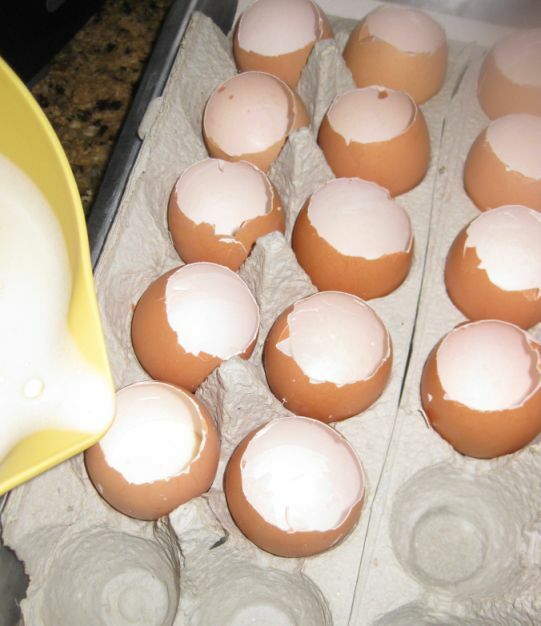 Crack the top of the egg. 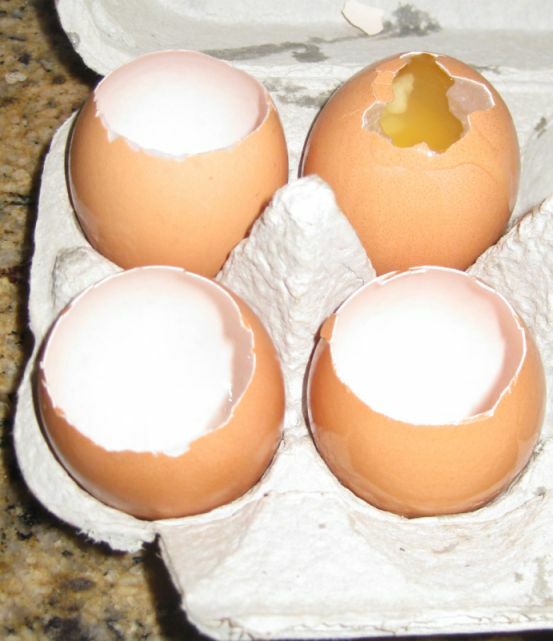 Don't make a large hole, just enough to pour out the inside of the egg. 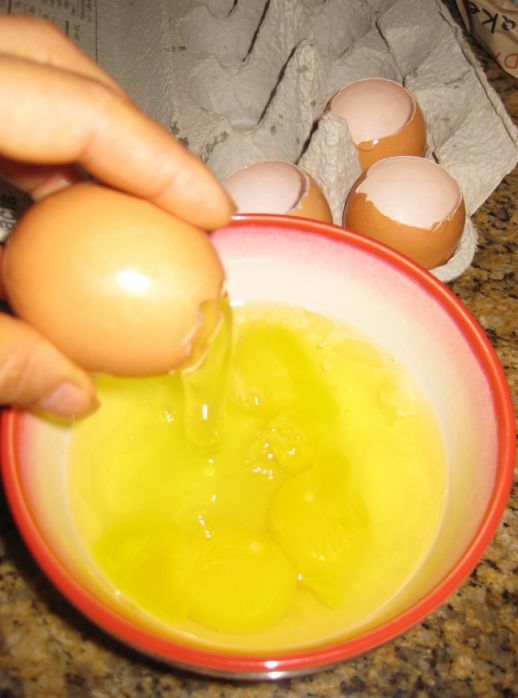 Pour 2 of the eggs into a bowl to reserve for the custard, and the others you can save for any other kitchen uses. 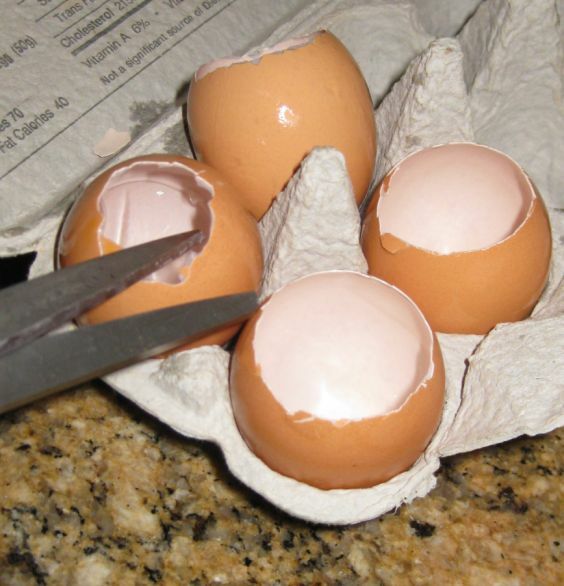 Use a sharp knife to cup off the top of the egg. 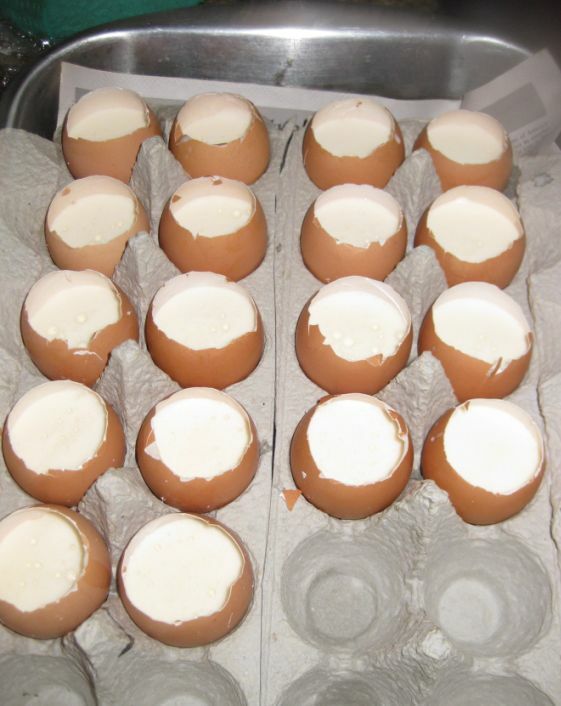 Clean the inside of the shells with running water. 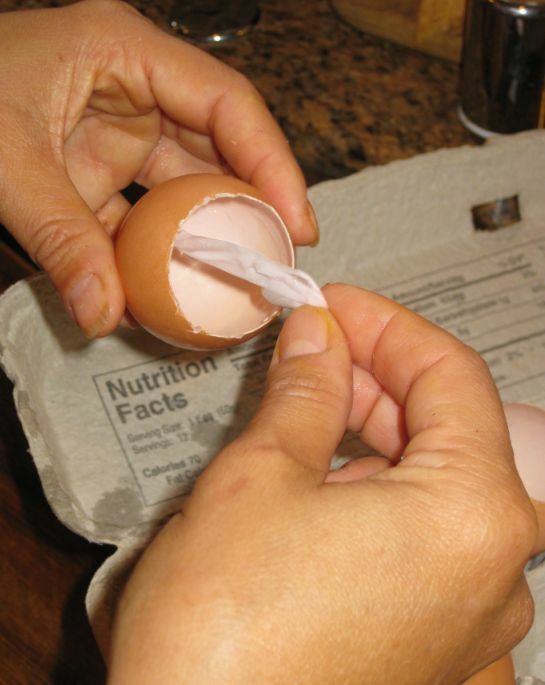 Using your fingers, carefully remove the membrane and clean up any loose shell pieces from the edges of the shell cavity. 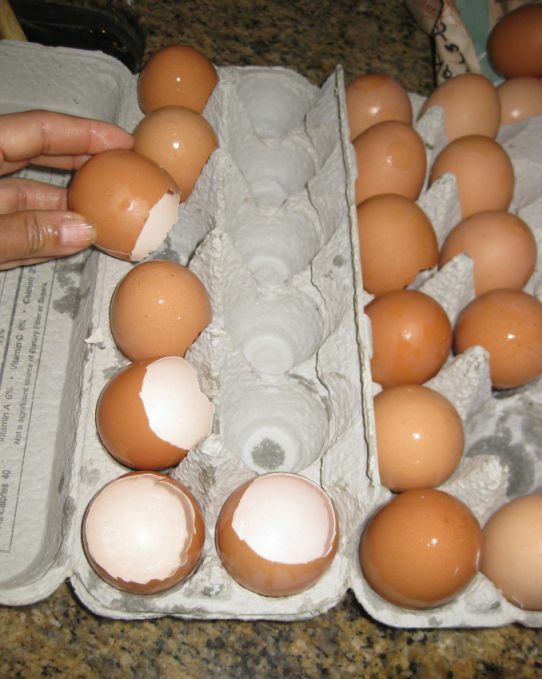 Clean them one more time and set them on the egg carton. 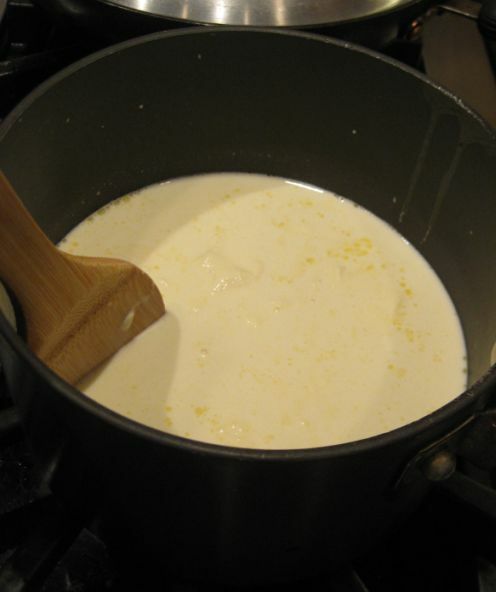 In a saucepan, heat the heavy cream and milk. 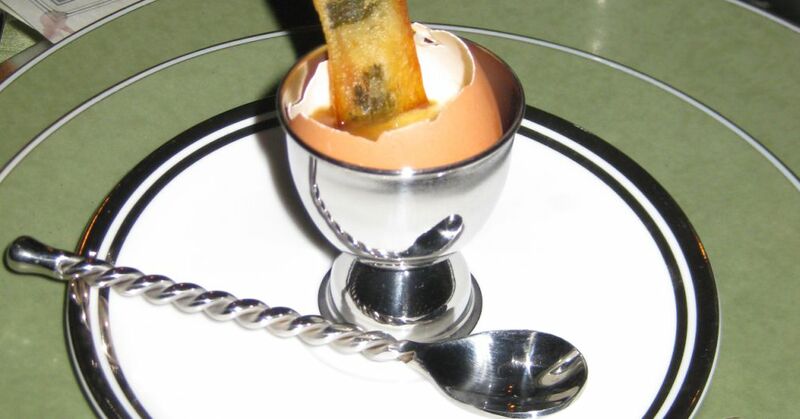 .. add the 2 reserved eggs, truffle oil, salt and pepper to taste. 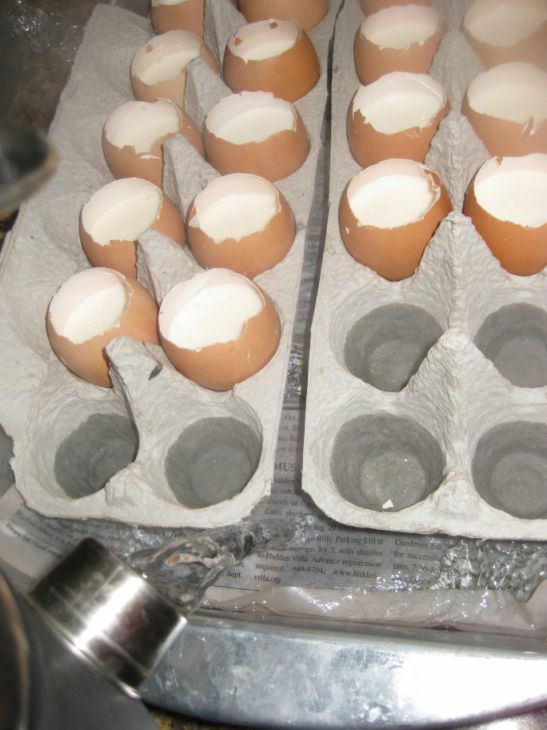 Place shell bodies upright into reserved egg carton. 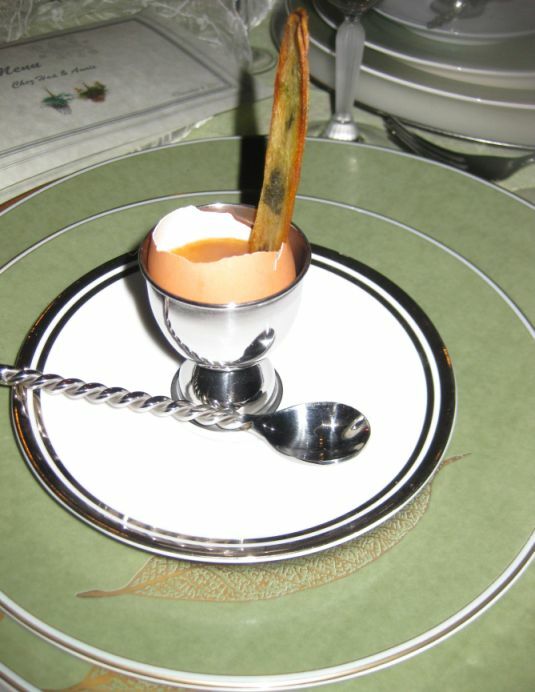 Carefully pour custards into shells, filling about 2/3 full. The eggs are now filled up. 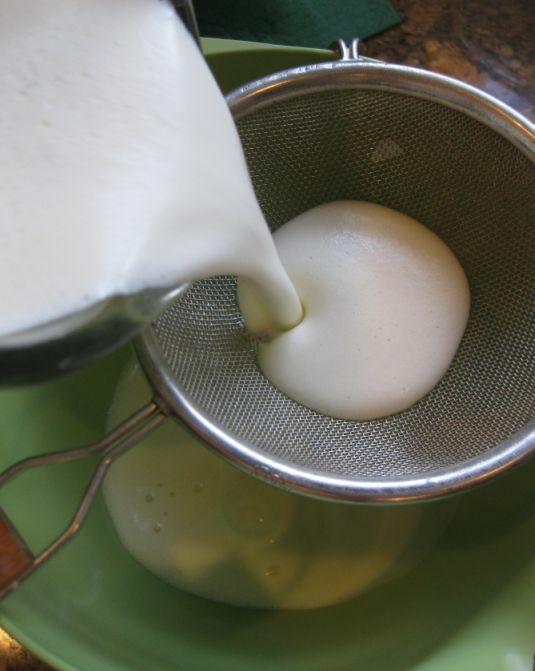 Using a pan that is a least 3 1/2 – 4″ deep, fill about 1″ of hot water into the pan. 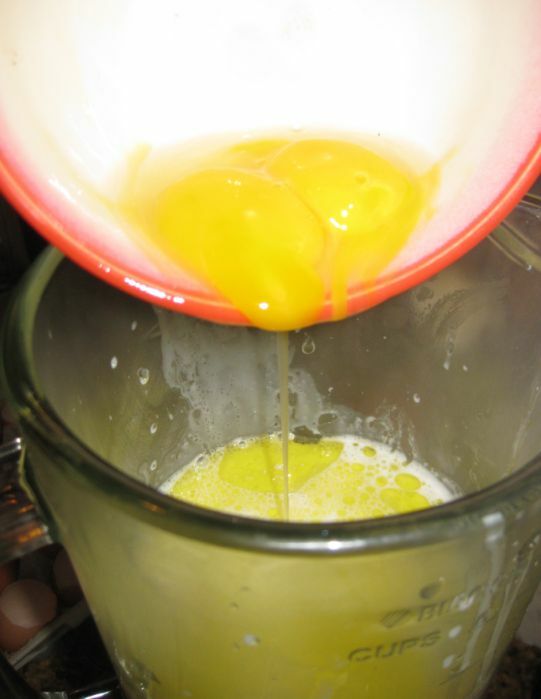 Place custards (carton and all) into the water, and top off with more water if necessary to have water level reach 3/4 up the sides of the eggs. Place pan into oven, cover with a lid or baking sheet, and bake for 40-45 minutes, or until custards are set. Remove from oven and set aside. 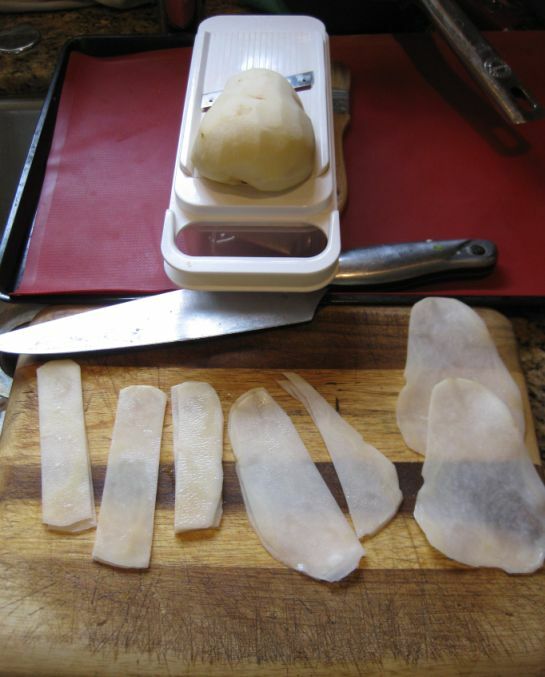 Peel the potato & use a paring knife to trim it into a band-aid shape, about 4" long & 1" wide. 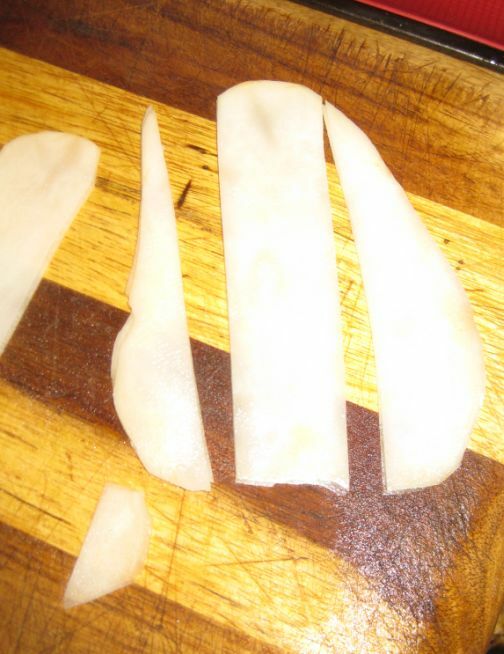 Close look on how I trimmed the slice of potato into a band-aid shape. 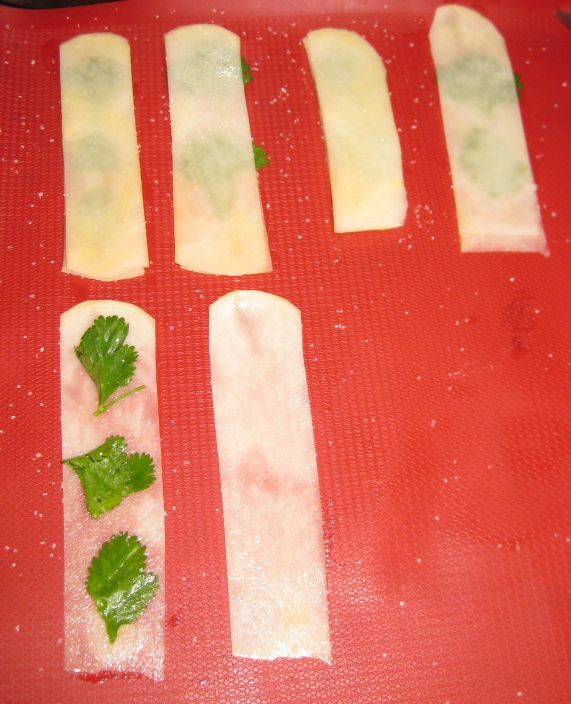 Brush 2 Silpats or parchment paper with clarified butter. Sprinkle with Kosher salt. 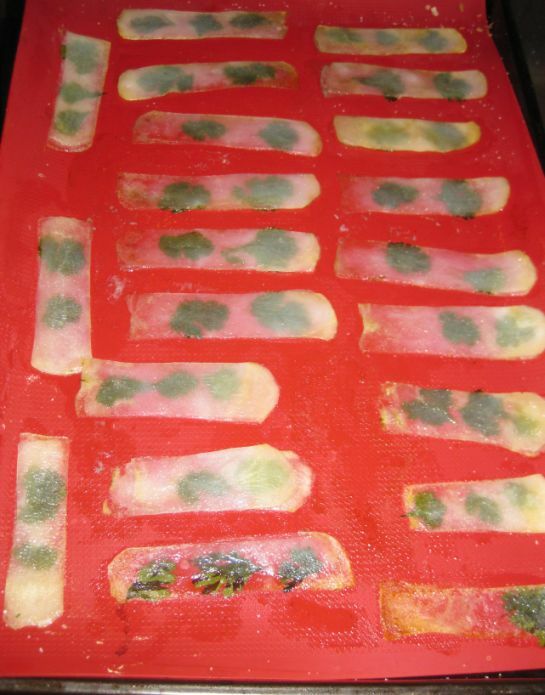 Place one Silpat on baking sheet. Stack the potatoes in order so you will be able to match them. Place parsley leave in the center of the potato. Use your fingers to press down & remove any air pockets. Lay the other potato slice on top. Cover with the 2nd Silpat. 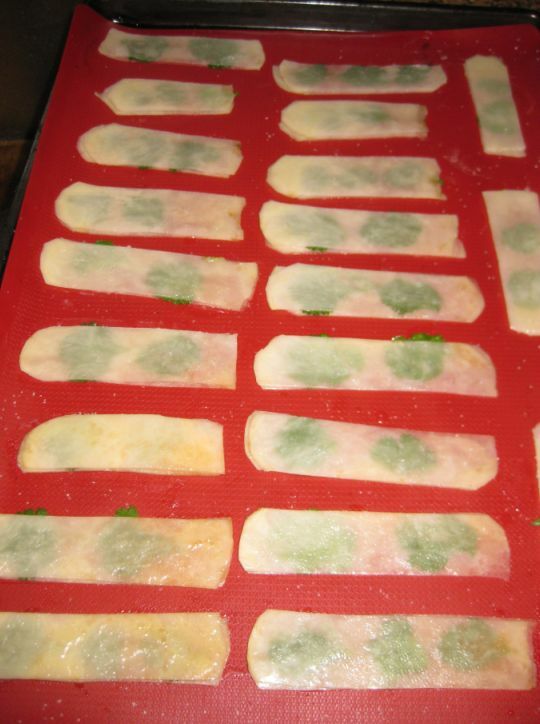 Put another baking sheet on top to weight down so that the potato chips are flat. 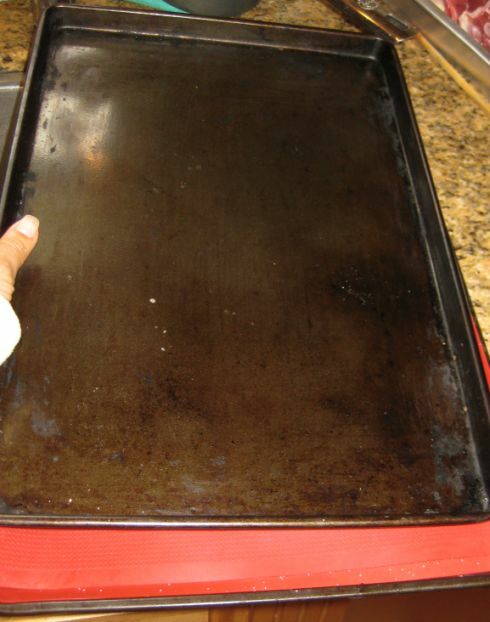 Remove the tray + the top silpat, Put it back in the oven for another 15 minutes or so. 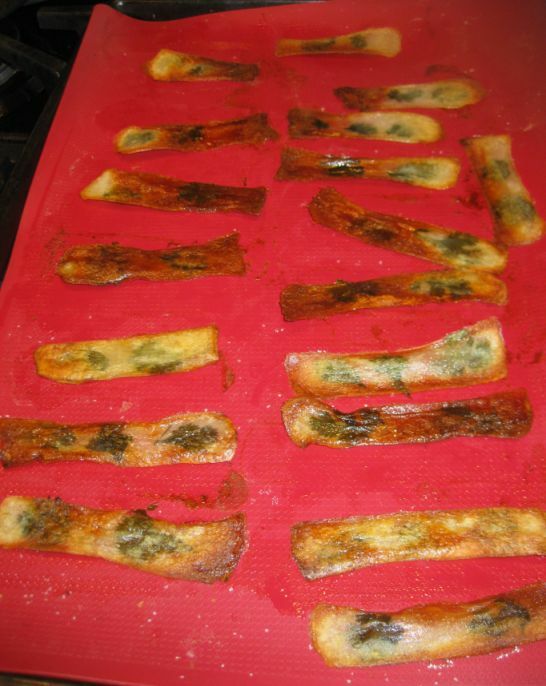 Remove from oven when it is nice & golden brown. Chips can be made 2 days ahead. 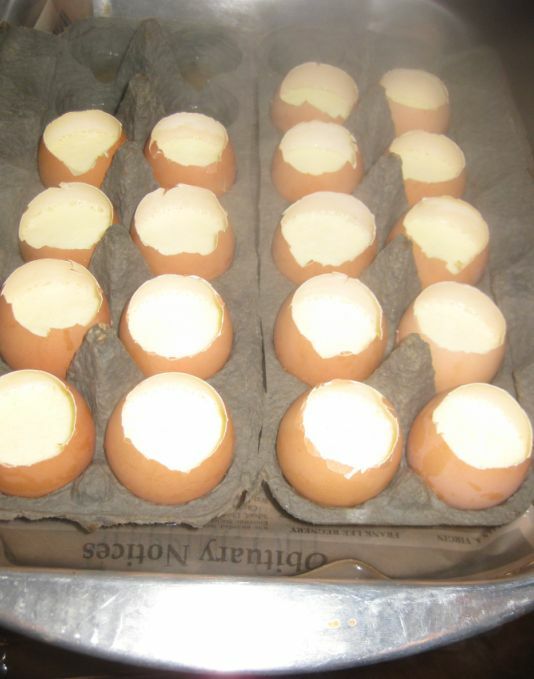 After 40 minutes the eggs are done. If you are not serving them right away, keep them cover so they can stay warm for at least 2 hours. Put the stock into a small saucepan and bring to a boil. Simmer for about 3-4 minutes, or until it coats the back of a spoon. There should be about 3 Tablespoons of sauce. 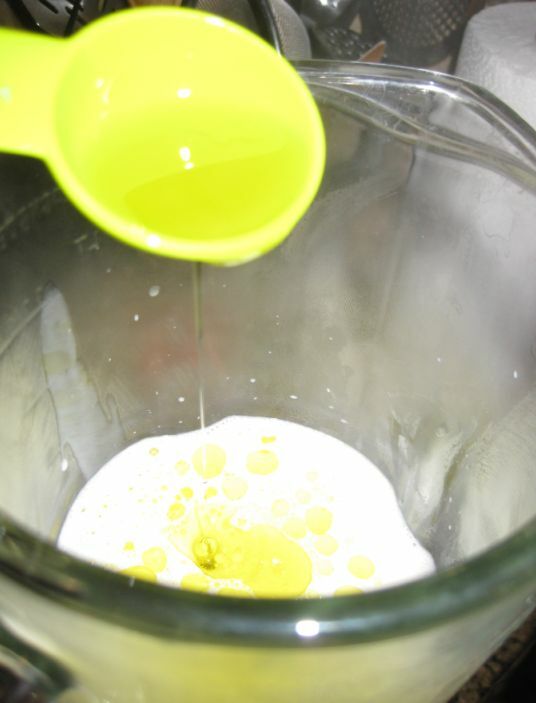 Finishing: Swirl butter and truffle oil into reduced stock. Season to taste. 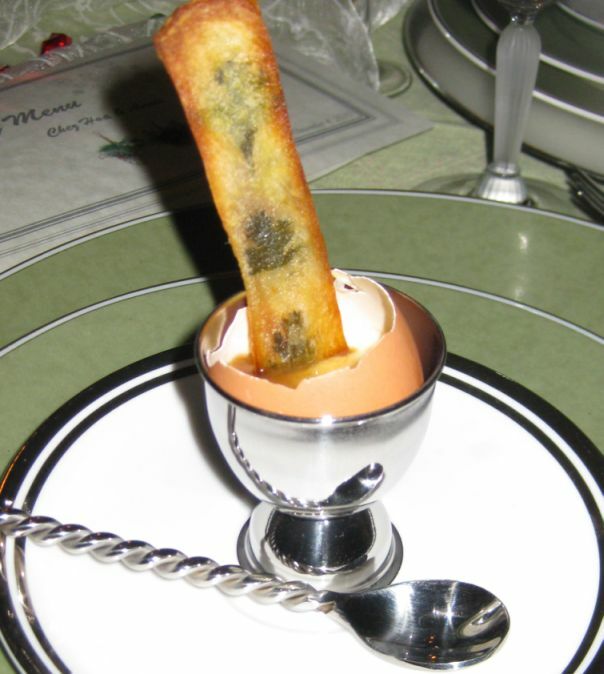 Place each egg in a cup, and spoon about 1 teaspoon of ragout on top of the custards and then place a crisp chip in each egg.